Oh, Civilization, how you amuse me. This is a game based entirely on tactics. If you play without a good strategy, you’re bound to lose unless you’ve set the computer difficulty low. 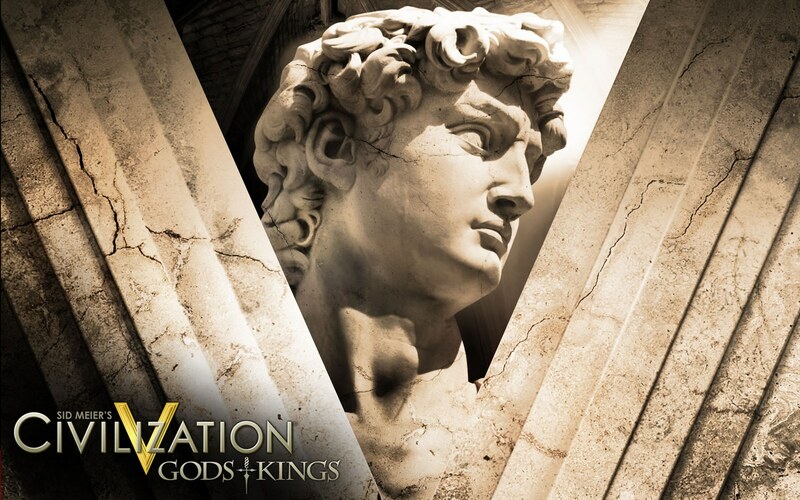 While I have played the earlier versions, my experience with Civilization is pretty limited to the latest installment and its expansion pack, Civilization V: Gods + Kings. I think what I like the most about this game, other than building giant death robots and conquering the world, is that we can see how culture and religion can impact growth and power, while completely neglecting how they impact society. To be fair, that’s not completely true. The game does have a happiness meter, and if your population completely hates you, they will revolt via barbarians. I suppose that Civ5 is about as accurate as a game can get in terms of application of religion by a society, though it does leave some things to be desired. Being “about as accurate” doesn’t mean entirely accurate, or that there’s no room for improvement in how religion is implemented.